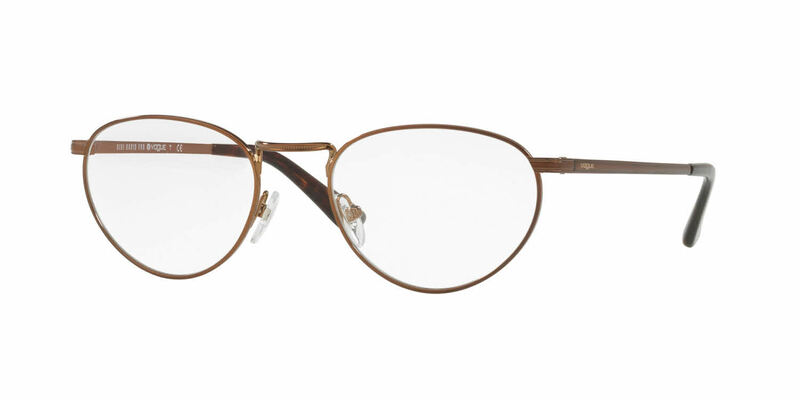 These Vogue 4084 frames are light but sturdy, don't overpower my face, and I especially like the tortoise shell /gold combination. It adds some subtle interest. The oval/round shape is a nice change from my trendy and slightly large Warby Parker acetate frames and I like the fact that now people see my face, not just my frames, when they talk with me. I have an oval face, not oversized and the smaller of the two sizes works great for me. Great price, reasonable (not lightning fast) shipping, perfect quality, and matching case - I'd buy from FramesDirect again!